This chart shows why it’s so important that we start cutting emissions RIGHT NOW! If we had started reducing emissions around 2000 we would have had until AFTER 2100 to get to net-zero. If we keep delaying action for another ten years it will be necessary to cut emissions almost to zero in a single year — which is completely impossible. Canada has been made some progress reducing our emissions, but we are still one of the worst polluters per capita in the entire world — so we have tons of work to do before we can really claim we’re pulling our weight. But not every Canadian has the same emissions. In general, wealthy people burn more fossil fuels — because they buy more things, maintain more properties and fly more often. We sometimes hear that individual changes don’t make much difference, but if you are living a comfortable life in Canada you are likely doing more damage to our planet than anyone else in the world — so it really does matter what choices you make! This chart shows how wide the emissions range is among people in the same country. We will need new regulations and corporate investments to tackle climate change, but those changes are slow — cutting our individual consumption happens immediately. 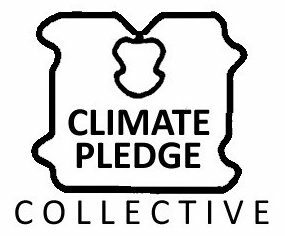 If you want to share your commitment with the world, you can sign the nofly2019 petition or choose among the pledges in the Climate Pledge Collective pledge system. The last chart shows the impact of different diets. If you find it hard to go completely vegan, look how much impact you can have just by giving up beef and red meat!